John Hellmrich was born 3rd March 1812 in Parskene, Aberdeenshire in Scotland. He was one of six children to Charles Hellmrich (1779 – 1879) and his wife Elspet Symmers (1778 – 1862). * Elspet’s name is spelled several different ways in records. On the 26th March 1812, John was christened in Skene, Aberdeen, Scotland. His mother’s name was recorded as Elspet. John’s siblings were Alexander Burnett Hellmrich b. 1805, Mary Burnett Hellmrich b. 1808, Charlotte Hellmrich b.1810, Charles Frederick Hellmrich b. 1814 and Isabela Hellmrich b.1816. Isabel died nine and a half years later still in childhood and is buried with her father. On the 11th December 1836 John married Margaret Mathieson. Cluny, Old Parish, Aberdeen, Scotland. Margaret, as I understand it was born and raised in a village ten mile away, Banchory-Devenick, Kincardineshire, Scotland. John was 24 and Margaret 22 respectively when they married. Margaret Mathieson was born around 1815. She was the daughter of John Mathieson (1790 – 1837) and Margaret Mathieson both of Scotland. John and Margaret (confused yet? – yes the same names as her parents!) had six children. John and Margaret would have six children. They had John Hellmrich who was born in Aberdeenshire in 1837. George Donaldson Hellmrich, who was born in Sydney in 1841. Margaret Hellmrich, born in Two Fold Bay, Sydney in 1843, Charles G Hellmrich born Two Fold Bay, Sydney in 1845, Alexander Burnett Hellmrich born in Sydney in 1850, and Mary Jane Hellmrich born in Sydney in 1852. John died in 1862 and Margaret in 1898. John and Margaret must have had adventurous souls because at some point in the proceedings they decided to emigrate from Scotland to the colony of Australia. They boarded The Lady Kennaway which departed Leith Roads on 19 April 1838. John and Margaret came to Australia as assisted bounty immigrants in a group of 283 immigrants. Assisted bounty immigrants were free people who had been ‘located’ by an agent and were given free passage to Australia and some assistance to help them with setting up their new lives in the colonies. The agents were paid a fee by the government of the colonies and Britain. This was to secure young immigrants, mainly from the working classes or trades who could settle into the new country that desperately needed labour to ensure it’s growth. John and Margaret fitted the bill. They had only married two years beforehand and were both fit and young. John had a trade as a Mason. They sailed with their six month old son John from Leith Roads. Leith Roads being a stretch of water about 2 kilometres long from the coastal town of Leith in Scotland where ships were able to dock and sail out from. According to the shipping records the journey was largely uneventful for the Hellmrich family. On the shipping records they are recorded as Helmwich, no doubt a clerical error. They also sailed with Thomas Mathieson and his young family. Likely these were relations of Margaret Mathieson . Thomas was listed as a Labourer. Both families hailed from Aberdeen in Scotland. All of the Hellmrich’s and Mathieson’s (adults) could read and write. They gave their religion as Presbyterian. John’s father by this time was deceased and his mother in Aberdeen. 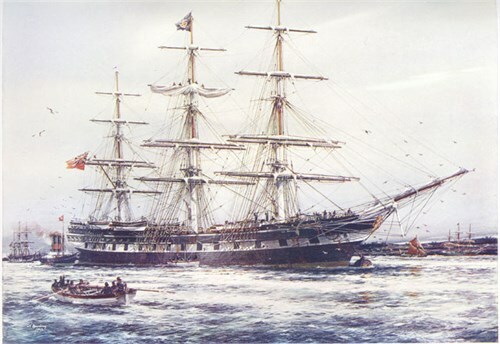 They arrived in Port Jackson, Sydney, New South Wales on 12th August 1838. Between 1842 – 1843 the electoral rolls show John, Margaret and their family living in Clarence Lane in Sydney. During their time in Sydney they also lived at Gordon Street in Paddington. 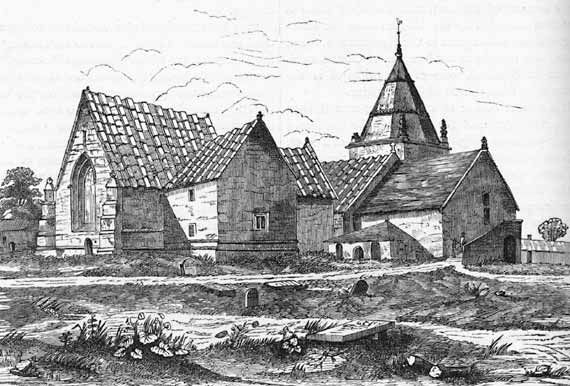 Skene, where the family had come from had a flourishing stone mining, cutting and masonry industry as a result of the rich granite supplies in Aberdeenshire. Therefore working in the masonry industry was common with skilled tradesmen and miners from Aberdeenshire being well known about. From 1846 whilst the family were living in Two Fold Bay, John was employed as a stone-mason/builder on Boyd’s Tower. 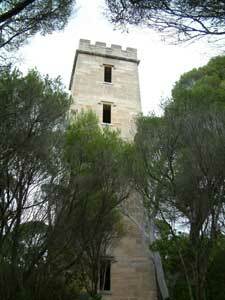 Boyd’s Tower is a 23 metre stone tower which was built from Pyrmont sandstone from Sydney. Benjamin Boyd a fellow Scot had commissioned the tower to be built. The initial purpose of the tower was for it to be used as a lighthouse. Boyd’s tower is now a popular tourist destination for those visiting Sydney. Poor old Boyd some years later went broke and lost all of his money. 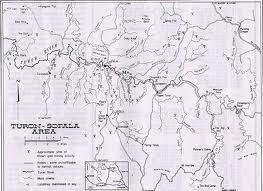 In February of 1851 gold was discovered near Bathurst at an area that becomes known as Sofala. Within months the area was teeming with gold prospectors hoping to make it rich quick . John joined them on the gold rush diggings. On the 27th December 1851, aged 39, John is reported in the Empire newspaper as one of the many miners who has joined the gold rush and had some success. In John’s case this was a modest 6 ounce find at Sofala in New South Wales. In today’s money that is worth about $5,400. By 1853 the electoral rolls show John once again living back with the family in Paddington a comfortable suburb of inner Sydney. In 1865 the family were recorded with John at the age of 53 in the Sands Directory with his occupation given as stonemason living at Gordon Street in Paddington. John is recorded in the Sydney Morning Herald 27 April 1864 as a Councillor for his local area. This was during the period that John served as an Alderman of Paddington (1863 through to 1865). Newspaper reports evidence John’s active participation in regular council and political engagement. John had been voted into this position by his local peers. Paddington at the time that John and Mary were living there, was predominantly a township of builders and skilled tradesmen. John like many of his compatriots John took an active role in establishing and improving the Paddington area through construction and civil works. John was a member of his local lodge of Freemasons throughout his life in Paddington. This would have been entirely reasonable given his employment, protestant beliefs and strong Scottish roots. On the 11th May 1870 John’s death was recorded in Paddington. His name was spelled Hellmrich. Registration number 2053. John’s fathers name is given as Charles and his mother as Elspeth. He died at his home at Gordon Street in Paddington. In 1886 Margaret is recorded in the Sands Directory as living at Mary Street in Newtown as Mrs Hellmrich. Margaret died in 1898. Neither of her parents names are included on the index of her death. Rather oddly they are marked as unknown. Her death was recorded in Newtown. Margaret’s name is also recorded with the spelling of Hellmrich. After this most of the generations of Hellmrich became Helmrich as the younger one’s in the family dropped one of the l’s. Possibly to make it sound less German? Children of John and Margaret. 1, Mary C Hellmrich 1865, deceased as infant. 2, George T Hellmrich 1867 deceased as infant. John died in Mosman in 1909. (2) George Donaldson Hellmrich, like his other brothers was in the building trade. He was himself a builder. When he died in 1881 (12 Aug, 1881). (newspaper) recorded probate of will records. George Donaldson Hellmrich – George died aged forty. I suspect based on what little I’ve been able to locate through Trove NLA, that George did not marry? His brother Charles managed all of his affairs after his death. Margaret Hellmrich married William James Meek a fellow Scot from Lasswade, Midlothian in 1864 in Paddington, Sydney. Margaret was 21. They also had a large family, Margaret Anne Meek, 1865, Ida Mary Meek, 1867, James Alexander Meek, 1869, John Helmrich Meek, 1872, William Meek, 1874, George Donaldson Meek, 1874 and Charles Meek in 1881. Margaret lived her life around Sydney and the Paddington, Newtown area. She died aged 63 in 1906. William would outlive her considerably till 1881. Charles G Hellmrich would marry Sarah Anne Gorman of New South Wales in 1870 in Paddington. Their children were John Mathesion Helmrich 1871, (John would serve in the First world war, his own son John Mathesion Jnr would also serve and was killed in France on the Somme in 1917), Hannah Helmrich 1872, Alexander Brooks Helmrich, 1875, Lottie M Helmrich, 1881, May Tulloch (known as Maxie) who died as a young woman and Elsie Pearl Helmrich b 1888. By this time the family were discarding the extra L in Helmrich in an ad hoc manner and Charles happily named all of his and Sarah Anne’s children with the less restrictive version. Like others in the family Charles remained around Paddington and died in nearby Waverley in 1902. FUNERAL OF MR. C. HELLMRICH. (The Daily Telegraph, 4 Aug, 1902, Sydney). The remains of Mr. Charles Hellmrich, whose death occurred at Singleton on Friday, were interred at the Waverley Cemetery on Saturday afternoon. Mr. Hellmrich, who was, perhaps, one of the best- known men in the eastern suburbs was a son of the late Mr. John Hellmrich, who figured prominently in the early municipal history of Paddington. The son also early evinced the same Interest In municipal matters that the father had done, and was appointed council clerk of the borough when, quite a young man. Under his direction the principal thoroughfares of the district were formed, and the drainage and many other improvements carried out. On resigning this position some years afterwards, he started in the architectural profession, and supervised among other buildings, the erection of Messrs. Washington II. Soul’s premises. He was subsequently returned as one of the aldermen of Upper Ward, Paddington, and filled the Mayoral chair for five or six years in succession. During his term of office the present Town-hall was erected. For many years Mr. Hellmrich occupied a seat on the local public-school board. He was also one of the founders of the local fire brigade, and for several years represented the municipal councils on the Fire Brigades Board, The deceased gentleman was for many years an active member of the Robert. Burns Lodge of Freemasons, and with others was Instrumental in founding the iconic Lodge. The chief mourners at the funeral were Mr. Hellmrich (son). Messrs. J. and H. Hellmrich (brothers). Mr.J. W. Brown (son-in-law), Messrs. John, James, William, and George Meeks, and C. Hellmrich (nephews). Amongst the others present, were the Mayor of Paddington (Alderman G. Walker), Aldermen D. Brown. J. Dillon, T. George, T. J. West (Paddington), Mr. A. Vialoux (town clerk), the postmaster, and several members of the Ionic Lodge, No. 181, Freemasons, Mr. R. D. Sime and Mr. D. M’intyre (representing the Master Builders’ Association), Aldermen T. K. Nurther (Waverley), Messrs. C. Campbell, A. Gale, M. Brabant, G. Kilminster, W. Kerridge, A. M’Leod, G. Burrows, A. T. Brindley, Smythe, J. J. Barnett, A. H. Wilson, A. J. Kenny, T. G. Brown, Captain Foskett and many others. Mrs. Klrby and Son conducted the funeral arrangements. The wreaths were numerous, including one from the Paddington Borough Council. Alexander Burnett Hellmrich (my ancestor), has his own blog page on this site. Mary Jane Hellmrich, married Tasmanian, John Foster in 1875 in Paddington, NSW. They had two daughters, Margaret Foster, b. 1876 and Annie Constance, b. 1879 who died just after her first birthday. If there are descendants with photographs/stories/URL links, who would like to have them added to this page, then by all means please contact me. Of course you will be credited for these. The information you provided was essential for my research. I am great grandson of Robert Pollock Davison, captain of the ship Lady Kennaway. I discovered some evidences of 2 trips conducted by Robert Davison to Australia: one in 1836 and another in 1838. The secont time he transported your ancestors. Do you have more data about this trip? I would appreciate to see what you have. ing the ports at this end. Her present destination, or location, if afloat, cannot be ascertained, but her name is not in the Shipping Register of 1862. By the ‘Lady Kennaway, which arrived yesterday afternoon, we are in receipt of English papers up to the 24th of April last. This vessel has brought 276 Scotch Emigrants. We make the following extracta : ( Our Helmrich’s and your Captain Davison were on this trip). Pursuant to the journey a Timothy Tod wrote this letter into The Colonist (a Sydney paper) on the 5th September 1838.
office, I fear we shall find it difficult in future to induce shepherds and labourers to quit their native land. Your most obdient servant, Timothy Tod. From the 15 August 1838, The Colonist (Sydney). superintendent. Passengers, Dr. Hope, Miss Hope, Miss Waugh, Miss Ann Waugh. 13. — Bee, brig, Hunter, from New Zealand 4th instant, with 95 tuns black oil. Passengers, Mr.and Mrs. T. Jones and two children. Two years earlier on the 13th October 1836, Shipping News, The Sydney Herald. Lady Kennaway, Captain Davison, with 298 male prisoners, under the superintendence of James Wilson, Esq., Surgeon, R. N. The guard consists of Major Baker and Lieutenant Morris of H.M. 80th Regiment, 25 rank and file of the 80th, and 5 of the 50th Regiment. Passengers – Mrs. Morris, 6 women and 5 children. feited on the previous day. Thanks Darienne for all that information! Much of it was pretty new to me and I included in book I am writing about my family. I was aware of another Police Incident, but very similar to this one you have found. I believe it was a hard time that days.